I wish I could paint my place. 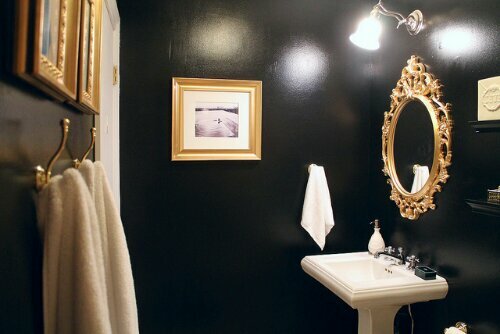 This black and gold bathroom brings so much jazz to such a little space. 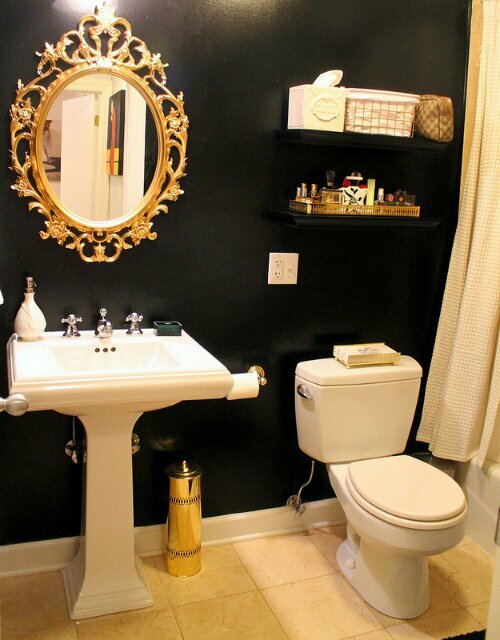 I adore ornate mirrora like the one from Ikea which they spraypainted gold. 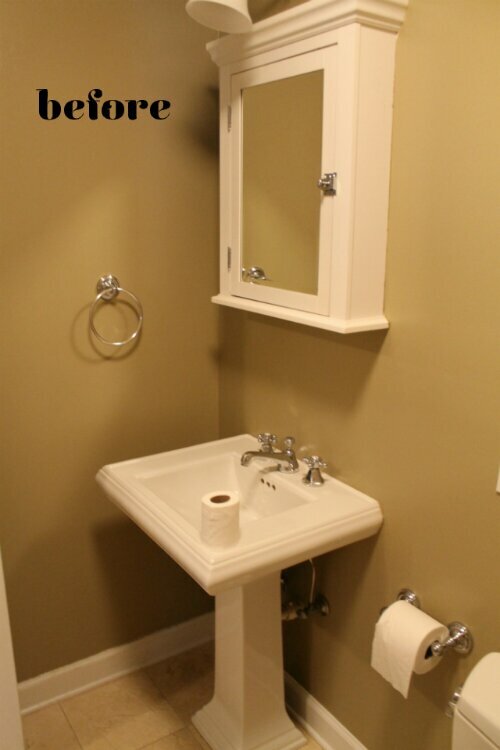 See other ornate mirrors like this or this white & leopard room here and how mirrors can really change the look of a bathroom by snatching out medicine cabinets & replacing with a decorative mirror here. Next Post What I like about this small kitchen space…. WOW! Look what a bit of paint can do…fabulous! I know this post is old. But still…. 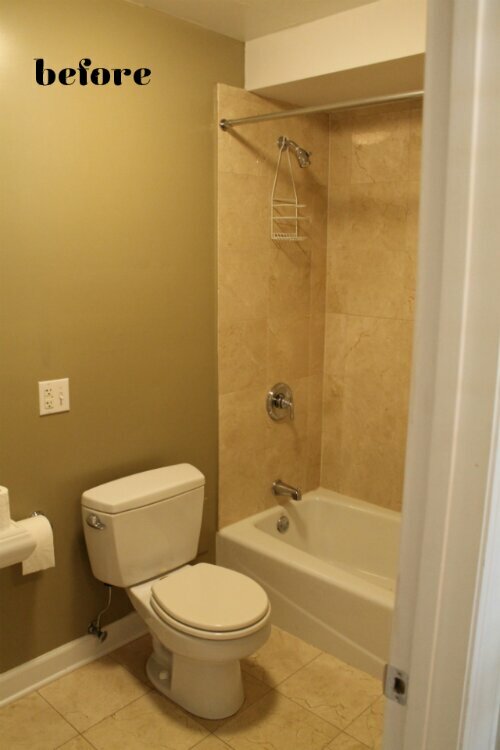 I love black walls in bathrooms but the key to good design is variation in the scale of the accessories and avoid having your “junky necessities” on display.